I’ve been published, in print or electronic form, and appeared on podcasts and such; here I’ll try to document all these bits of me so we can find them. Drawn from the spoken word performances at Melbourne City Library’s event “Not Quite the Big Finish”, Whose Doctor? 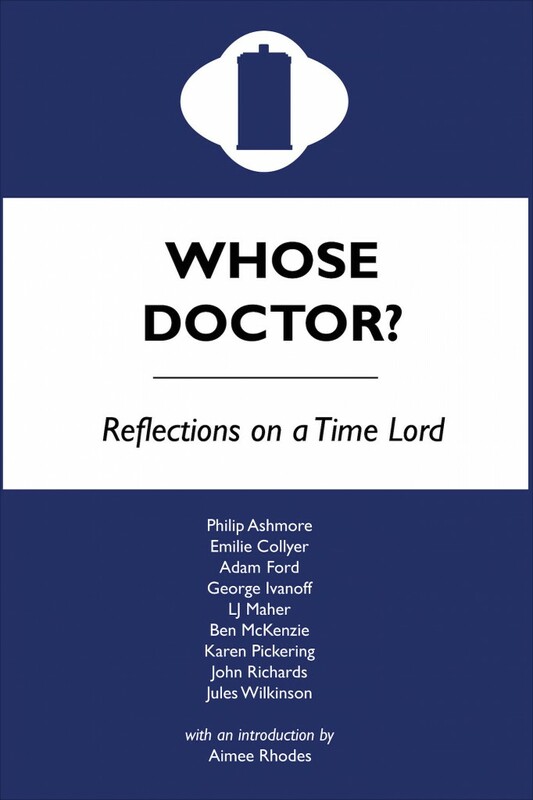 is a collection of personal musings on the Time Lord and his adventures and what they mean to nine Melbourne-based poets, comedians, scriptwriters, academics and authors. My piece has the rather ridiculous title “Doctor Sylv Love (or How I Learned to Stop Worrying and Admit Seven is my Favourite)”, and sits alongside pieces by Adam Ford, LJ Maher, George Ivanoff, Emilie Collyer, John Richards, Karen Pickering, Philip Ashmore and Jules Wilkinson. It’s available exclusively as an eBook through Tomely and Smashwords, for the bargain price of $5. I first starting tinkering with games when I discovered roleplaying games, and in 2012 I got my first gig writing for one. I backed the Kickstarter for Magpie Games‘ storytelling game of heroic sacrifice and humanity-threatening disaster, Our Last Best Hope, and pitched a couple of ideas for the Companion book that backers made possible as a successful stretch goal. My first idea had already been taken, but my other idea – a hack for the game and an alternate play set, both geared towards comedy – were accepted for publication. It’s available on DriveThruRPG and through the publisher’s web site, and both the companion and the game itself (in which I’m also credited, for some suggestions for the Zombie Apocalypse play set) turned out great. 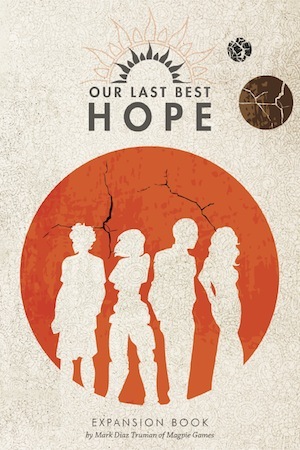 Check out all the info on the official Magpie Games Our Last Best Hope page. A “mook”, it turns out, is a cross between a magazine and a book, and I contributed the essay “What Makes A Wizard?” to this anthology of geek-themed fiction, non-fiction, poetry and art. There’s all kinds of great stuff in here, and I was lucky to be a part of the Geek Mook for a long time: from a fundraiser in July 2011, to hosting the launch on Friday the 13th nearly a year later. My essay asks the burning question: is being magical in the wizarding world of Harry Potter a matter of genetics? You’ll have to buy a copy of the Mook to find out! Unfortunately it’s not clear if Vignette Press are still around, but Geek Mook is still listed at the Small Press Network, so you can try getting a copy there. 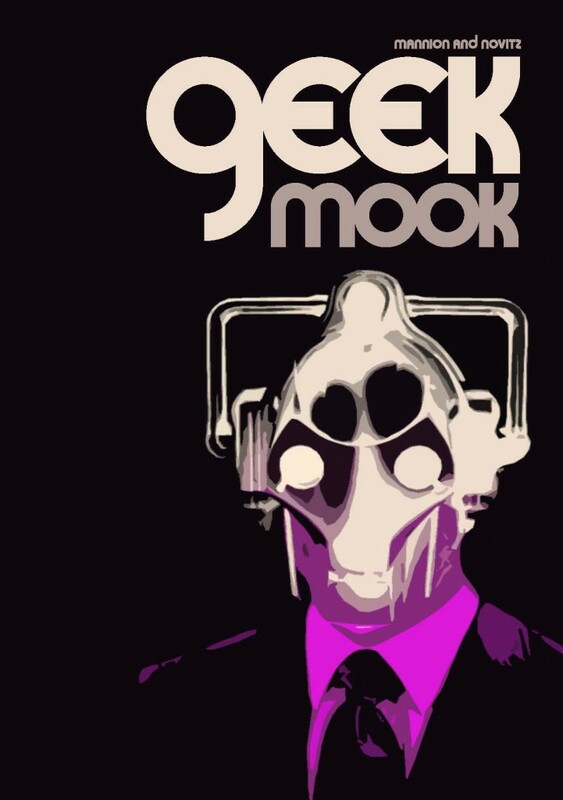 Geek Mook is (or was) $19.95 plus postage. I was humbled to be asked to be interviewed by the wonderful (and then Voiceworks editor) Kat Muscat for “Space”, issue 89 of Voiceworks. Kat and I talked about comedic inspiration, feminism, geek culture, role-playing and a bunch of other things along the way; the resulting conversation was published as “Finding the Anecdote”. I recommend picking up a copy; it’s full of some brilliant writing, and I felt very privileged to have been involved not only as an interview subject, but as the MC for the launch of this issue in Melbourne. 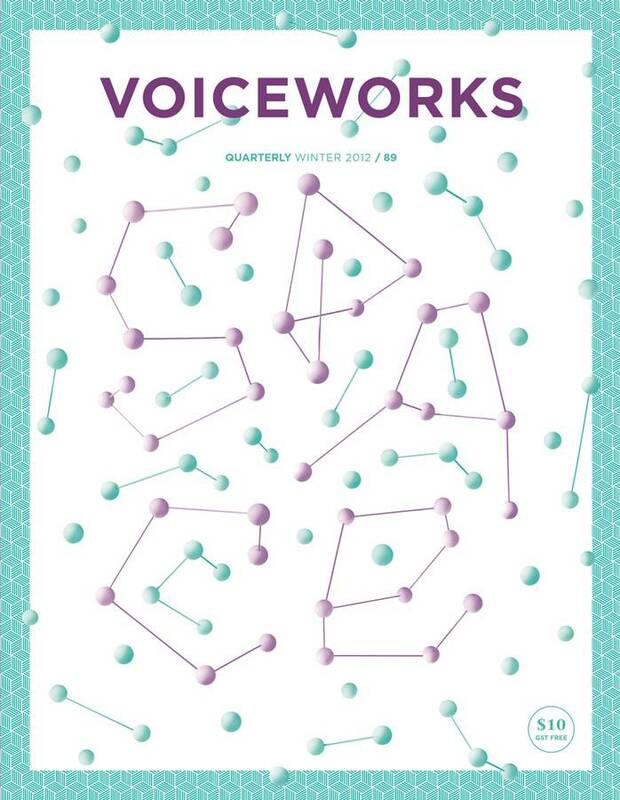 Voiceworks is a quarterly magazine of new writing from young Australians, and is available in print and electronically by individual issue ($10) or annual subscription (only $17.99 – bargain!). The link above will take you to my issue on Tomely, but check out the Voiceworks web site for more information. The Laborastory is a monthly performance event in which scientists (and sometimes scienticians) get up in front of an audience and tell stories about their favourite scientists. It’s held on the first Monday of each month in Fitzroy, and I highly recommend you go – but book in advance, it sells out! I have participated twice – in their second show in June 2013 I told the story of fossil collector Mary Anning, and in May 2014 I gave an account of the larger-than-life adventures of actress and inventor Hedy Lamarr. This is my podcast, co-created and co-hosted with John Richards, with Petra Elliott and a different line-up of guests each episode. We record it live in front of an audience, then release each episode once a month – one for each Doctor, from January to November, during the 50th anniversary year of 2013. For more info, check out splendidchaps.com. Boxcutters is the world’s greatest television podcast. Well, I reckon it is, anyway. Created in 2005 by Josh Kinal, Brett Cropley and John Richards, and hosted by those three, Courteney Hocking and Dave Lawson, it runs every week, recounting news, reviewing the latest shows, and discussing trends in television past, present and future. If you’re at all interested in television, seriously: subscribe. Boxcutters episode 295: Episodic Television and Nerds on TV, 21 February 2012 – for my first guest appearance I was invited to talk about the portrayal of nerds and geeks on television, but mostly I just talked about why I hate Big Bang Theory. You can find episode 295 here. Episode 306: Girls and Maid Marian, 22 May 2012 – I must have done something right, because I was asked to return for a second appearance, this time to revisit one of his all-time favourite television programmes, Maid Marian and Her Merry Men. You can find episode 306 here. Episode 335: Songs with TV, The Americans, April 4, 2013 – in a triple guest spot, I talk about the Boxcutters news, songs from television programs, and telethon success. You can find episode 335 here. Episode 345: The Goodies, July 3, 2013 – filling in for an unwell Courteney Hocking, I talk about one of my favourite television shows, The Goodies, for probably a good 20 minutes. You can find episode 345 here. Kill Your Darlings is quarterly journal of new Australian writing, who now also produce a podcast with segments hosted and produced by various writers. I was invited to be a guest on one of the first episodes. Kill Your Darlings podcast: The Ethics of Comedy, April 17, 2013 – host Jessica Alice discusses ethics and comedy, including interviews with myself and Cherchez la Femme host Karen Pickering. You can find this podcast here. This monthly series of videogame discussion events, similar to ACMI’s popular “Live in the Studio” events about television, were curated by Freeplay to accompany the Winter Masterpieces exhibition Game Masters. Hopefully, they’ll be back – but in the meantime, you can listen to the original series, including Postcards from Imaginary Worlds, featuring Dan Golding, Christy Dena, Brendan Keogh and yours truly, via ACMI’s podcast feed. Shooting the Poo is a roughly monthly podcast covering all forms of popular culture, from blockbuster films to comics to Pride and Prejudice. It’s hosted by Dave Hoskin, Ian Mond and Anthony “Mitch” Mitchell, and produced by the incredibly patient Kirstyn McDermott. Unfortunately they were originally hosted on Posterous, which shut down in April 2013, and the early episodes – including those featuring me – are no longer available. The original links are preserved for posterity below. Episode 6: Game of Thrones and Doctor Who, 31 August 2011 – I was invited to join the Poo Shooters to be the one who actually knows what’s going on in Game of Thrones, and who enjoyed series six of Doctor Who more than the regular hosts. At least, I think that’s what happened. You can find episode 6 here. Episode 14: Sherlock Holmes, 30 May 2012 – I returned to talk about all things Sherlock Holmes, especially the sociopathic tendencies of the Cumberbatch one, and the dreamy eyes and manly arms of Robert Downey Jr. You can find episode 14 here. I’ve designed many live and pervasive games with Pop Up Playground, and am hoping to work on other kinds of games too, including roleplaying and card games. I won’t list all of the smaller games we’ve run at PUP events, but below are some of the larger scale games we’ve run for the public, and details of the other games I’ve worked on. Designed specifically for the State Library of Victoria’s centenary celebration of the library dome in July 2013, The Focal Point is a shared storytelling game in which players try to help library patrons from the past and future who’ve become unstuck in time as their personal stories get tangled in the stories in the library. These unfortunate characters are trapped in a single moment, but luckily the Department of Semantics has been able to arrange a period of Temporal Maintenance in which they can all be accessed and assisted in moving on in their personal stories. Involving conversation and creative storytelling, this game used ten actors and three game runners scattered across the State Library and generated some great stories.